Addressing the UN General Assembly last month, the Arab world's most popular elected leader railed against what he called the "tragedy of the age," decried the victimization of a people dear to "the hearts" of his countrymen, and condemned an oppressor that "kills ... day and night." This strident rhetoric might have passed unnoticed but for one important detail – the speaker was not talking about Israel. To be sure, Egyptian President Mohammed Morsy made the usual call for "an end to colonization, occupation, and settlement" and urged his audience to support the "full and legitimate rights" of the Palestinians. But it was the oppression of Sunni Arabs by an Alawite-dominated, Iranian-backed dictatorship in Syria that clearly occupied his attention. He is not alone. While there is no evidence that popular anti-Israeli sentiment in Egypt and other Arab countries has diminished appreciably since the onset of the Arab Spring, the weakening and collapse of authoritarian regimes has revealed that ordinary citizens care about a great many other things, and "justice" for the Palestinians isn't at the top of the list. Since anti-Zionism was typically the only anti-establishment political cause that tyrants routinely allowed their citizens to openly embrace, many did so with gusto, if only to vicariously express their rejection of the status quo. Today, not so much. Anti-Israeli slogans were relatively scarce in popular protests that erupted across the region early last year. Palestinian Authority (PA) President Mahmoud Abbas' attempt to petition the United Nations for recognition of Palestinian statehood last fall inspired little mass mobilization in the region and a lukewarm reception from his Arab counterparts, while an unprecedented hunger strike this spring by Palestinian prisoners in Israel was neglected by Arab media outlets in favor of regional crises more conducive to live-action broadcasts. An over-hyped "Global March on Jerusalem" failed to get off the ground. In a political environment where ethno-sectarian grievances are no longer heavily suppressed, even radical Islamists have largely cast their attention elsewhere. Last summer, Jordanian salafi leader Abu Mohammed Tahawi declared that the alliance between Iran and Syrian President Bashar al Assad "is currently the biggest threat to Sunnis, even more than the Israelis." Although salafi-jihadists in Sinai have raided Israel several times, their intent is mainly to embarrass Morsy and the Muslim Brotherhood. Israel may have a ubiquitous walk-on part in the dramas unfolding in the region, but it isn't center stage. Of course, many in the region are aghast at this relative apathy. Jordanian journalist Osama Al Sharif laments, "how indifferent Arabs have become to what was once their most passionate cause." Al-Hayat columnist Walid Choucair bemoans the fact that "all of the countries concerned with Palestine have been busy tending to their domestic situations." Lebanon's pro-Syrian interior minister, Marwan Charbel, calls the Arab world's political turmoil "an Israeli Spring." Understandably, 65 percent of Palestinians surveyed in a February 2012 poll see the Arab Spring as having a negative impact on their struggle against Israel. Taking a cue from the rest of the Arab world, thousands demonstrated last month not against Israel, but against the corruption and incompetence of their own leaders. None of this means that Israel is any safer, at least not yet. Chronic political instability in the Arab world carries enormous security risks for the Jewish state, while democratically elected Arab leaders may be just as prone as autocrats to boost their domestic appeal by stoking popular anti-Israeli resentments. Still, those who see only doom and gloom for Israel can look forward to the day when it is no longer public enemy number one in the Arab world – just an enemy. 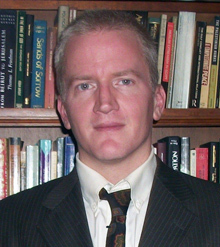 Gary Gambill is an Associate Fellow in the Middle East Forum.